As part of a new movement towards financial literacy in the province, Ontario has increased funding to support free tax clinics and financial coaching which is also meant to assist those in Ontario surviving on low income. 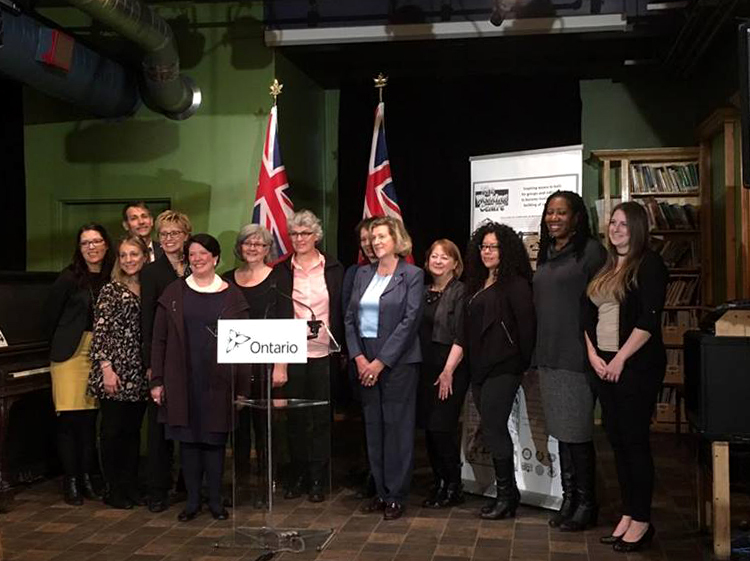 At an event on March 7, Minister of the Community and Social Services, Helena Jaczek, and MPP Kitchener-Centre, Daiene Vernile, along with others, spoke at Queen Street Commons Café. “[The Working Centre’s] dedication over the years is just a shining example of grass-roots solutions to serving the community and those in need,” Vernile said. “Providing financial coaching to low income people in our community helps to build financial literacy and security. This is a very significant partnership between our government and The Working Centre in Waterloo Region, as together we offer important financial services in our community,” Vernile said in a statement released at the event. The government will be investing up to eight million dollars into Prosper Canada, a national charity “dedicated to expanding economic opportunity for Canadians living in poverty through program and policy innovation,” as the statement on their website said. The division of Prosper Canada being supported is Financial Empowerment and Problem Solving (FEPS). FEPS assists with tax returns, acquiring bank accounts, social assistance benefits, as well as financial literacy and debt relief. Alongside Proper Canada, five other non-profit organizations also developed local solutions to on-going problems in many Ontario cities. We’ll see anyone who fits the criteria for Canada revenue agency volunteer tax program. The five organizations involved are EBO Financial Education Centre in Ottawa, WoodGreen Community Service in Toronto, Family Service Thames Valley in London, Sudbury Community Service Centre and Thunder Bay Counselling Centre. “I do want to thank, in full, the government for the important role they played in providing support and services to some of Ontario’s most vulnerable. And services provided here at the centre are so important because they empower those who have been marginalized,” Jaczek said. Jaczek, also quoted in the statement released, said she was pleased to continue working with Prosper Canada to help more individuals learn to manage their finances. “For many people living on low incomes, gaining financial literacy skills is an important step in becoming more financially secure and independent,” read the statement. The tax clinic and financial coaching will also be available to local university students who find themselves in need of guidance. “It’s tax season, university students and a lot of international students will come in and we’ll see them. We’ll see anybody who fits the criteria for Canada revenue agency volunteer tax program,” said Jen Staver, host of the income tax clinics.